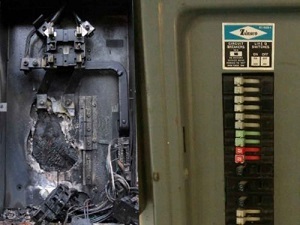 Is Your Electrical Panel Putting You at Risk of Fire? Every homeowner worries about a fire destroying their home and threatening their family. That’s why you take every precaution against it. But what if one of the things that’s supposed to protect you from fire is actually putting you in danger? 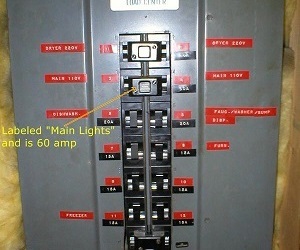 Your electrical panel is crucial to both your home’s operation and safety: but the wrong one could lead to a disaster. 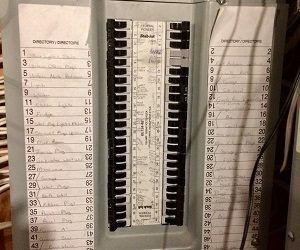 If your home has one of the following electrical panels, your home could be at risk of fire. We urge you to have them replaced without delay. According to a report prepared by a consulting engineer in the United States, the presence of a Federal Pacific Electric (FPE) panel in a home “should be classified as a safety defect”. The biggest problem with this brand is the reliability of the breakers. 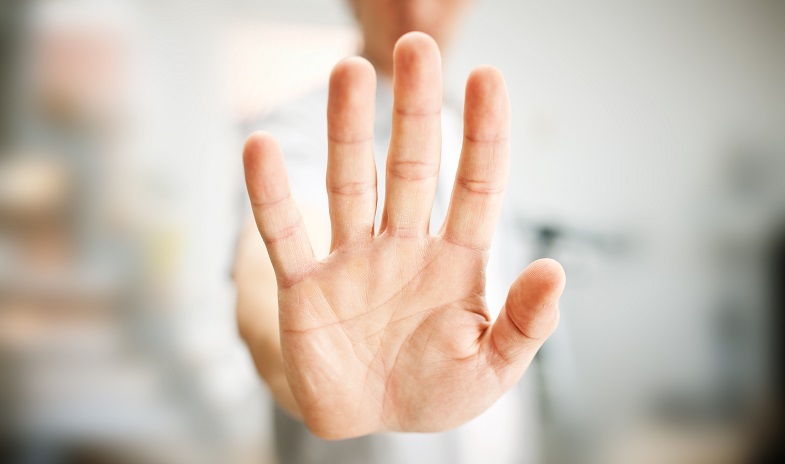 The Federal Pacific breakers didn’t adhere to the Underwriters Laboratories (UL) standards, yet were deliberately let into the marketplace by the company according to the judgement in this lawsuit. 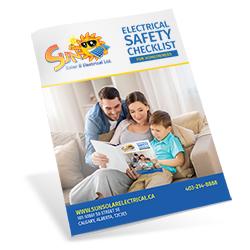 You’re at the greatest risk of an electrical fire when you experience an overload, short-circuit, or other intense electrical sequence. The breakers are supposed to stop that from happening. But with this panel, it’s more likely to have defective breakers and overheat, causing the fire it’s supposed to prevent. Without live-current functional testing, it’s impossible to find a defective breaker in an FPE panel: and that kind of testing costs more than a new panel would. If you don’t get that test or replace your panel, you won’t know you have a defective breaker until it’s too late. The Federal Pioneer panel is the Canadian equivalent of the Federal Pacific panel, complete with fire hazards. An inspection of Federal Pioneer panels in 2017 showed that 38% of those tested failed to trip when there was intense electrical activity. That’s a 38% chance of an electrical-based fire. We hate those odds. That’s why we recommend you have your FPE panels replaced immediately by qualified electricians. These panels are a cornucopia of fire hazards. The connection between the Zinsco breakers and the bus bar is not as secure as with modern panels, which means it isn’t as safe. It’s also been reported that breakers can fused to the bus bar, which means the electric current continues to flow through the breaker even if it’s been tripped. That’s not all: the bus bars in Zinsco panels are more prone to corrosion. 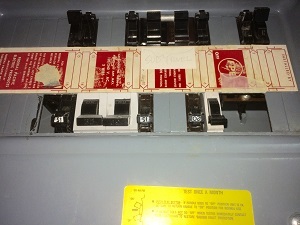 Bus bars are what connect several different circuits within one system. To top it off, the Zinsco’s aluminum parts are more likely to arc inside the panel – it loses its shape, making your panel less effective and safe. What’s scary is that this damage is not always visible during an inspection. The result of all these problems is an overheated mess of a panel that could put you at risk of fire. As tough as these panels sound, their design is completely behind the times. Instead of using breakers with both magnetic and thermal tripping mechanisms (like the panels manufactured in the last 10 years), the Pushmatic Bulldog only uses a thermal trip. This decreases the safety level of the panel, and increases the likelihood that something will go terribly wrong if there’s an electrical overload or short-circuit. The Pushmatic Bulldog also uses an internal grease lubricant on its breakers. Without regular testing and servicing, these parts can fail. 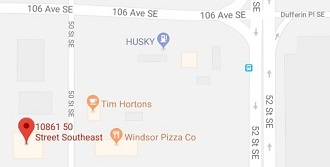 The worst part? The indicator flag that shows a breaker as ‘on’, ‘tripped’, or ‘off’ can get stuck in one position. You actually have no idea what condition the breaker is in – and that is a big hazard to anyone who investigates. If you live in Calgary, an inspection by us is the best way to ensure that your family and your home is safe. This is also a good time to check all your smoke alarms and fire extinguishers. Should you need a panel upgrade, we provide a no-cost, upfront quote that covers every detail, so there are no surprises. You can get back to doing what matters: enjoying your home.